South Sea Cruises chief executive officer Brad Rutherford. Malamala Beach Club, dubbed as one of the first exclusive island beach clubs in the world, will celebrate its first anniversary this month. A drone shot of Malamala beach club in the Mamanucas. It is owned by South Sea Cruises, Fiji’s largest marine tourism operator. The beach club opened its doors for the very first time in August last year. 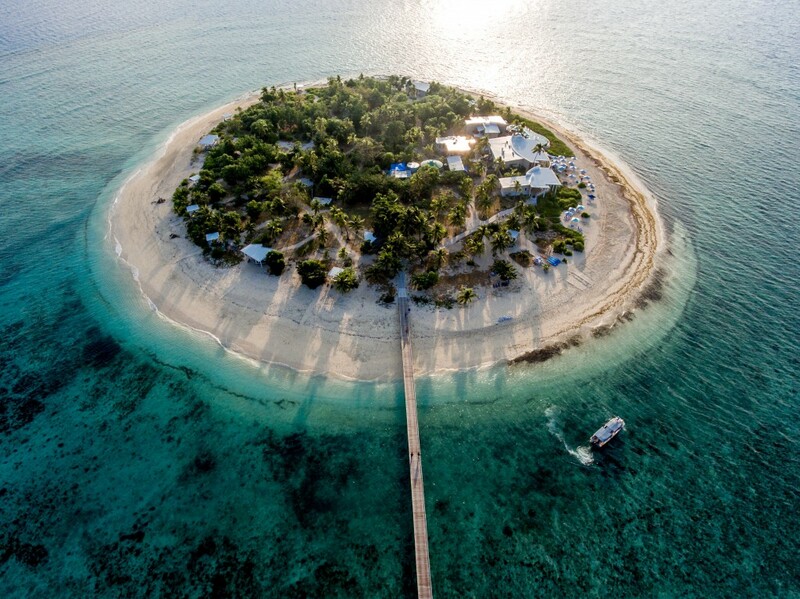 Malamala Island is a 5.5 acre island paradise that sits on a reef shaped like a wine glass. The reef teems with tropical sea life and the beach club is surrounded by crystal clear turquoise waters. The beach club has received many accolades in the past. Its guestbook is made up of both local and international guests. In an interview, South Sea Cruises chief executive officer Brad Rutherford re-visits some of the moments in the one-year journey. Mr Rutherford also reveals how the island has become a popular spot for international movie productions. The hotel accommodated 27,000 guests over the past year, Mr Rutherford says. This has allowed the hotel’s management to plan for further investments, which Mr Rutherford says was in the pipeline. How important is the Malamala property for South Sea Cruises? “Malamala Beach Club was the first new addition to the South Sea Cruises portfolio in recent years and it has proved to be an exceptional multi-faceted offering that we’ve seen go from strength to strength over the past 12 months. “As the first beach club in the world to be based on an island, it has a real point of difference for our guests who are looking to add something unique to their Fiji experience. “Its proximity to Port Denarau – just 25 minutes – makes it an easy day trip for guests. “We’ve found that Malamala is as popular with locals as it is with travellers. “When guests get to the island, they can expect contemporary, stylish facilities and premium food and drink options. “Our menu is designed by award-winning chef Lance Seeto and it features balanced and nourishing dishes full of fresh South Pacific flavours. “The atmosphere is relaxed and casual with a club-like vibe. “The way we’ve set the island up means that guests can book certain areas for events – or charter the entire island for up to 300 guests – and our weddings offering is growing fast. What makes the menu at Malamala unique? “Food and beverage plays an important role in a tourism property set up and Malamala Beach Club is no exception. “The beach club features an open deck restaurant, private cabanas and an infinity pool that is perfect to enjoy the world class signature cocktail as you watch the world go by. “Malamala’s all day menu designed by Lance Seeto and his team who use local produce and techniques to produce a menu that is a unique fusion of the old and new. “All you need to do is sit back, enjoy the tunes and fabulous food. “We’ve just launched our latest menu which features seasonal local produce, including a spiced goat curry pie (boneless young goat in tempered sweet spices, topped with smashed pumpkin, sautéed lentils, bhuja mix and tamarind goat jus). “Coconut peri peri Chicken (chargrilled spicy chicken on-the-bone and coconut sambal). “Guests can choose from tasty small bites to substantial sharing platters and sweet treats, complemented by a selection of imported wines, beers and handcrafted tropical cocktails. What recreational options are available for guests? “There is complimentary use of non-motorised water sports equipment including snorkels, kayaks and paddle boards, while spa services and motorised water sports equipment can be arranged for a fee. Has there been any more investment in the property? “Yes, we’ve added additional daybeds down on the beach at the front of the club, as well as opening a wedding chapel. “We call this ‘The Venue’ given it’s available for not only weddings but private functions, dinners, meetings, etc..
“In terms of infrastructure we are looking to add a further facility for bridal parties to enjoy both before and after their wedding. How many guests have stepped on the island since the opening day? “We’ve attracted more than 27,000 visitors over the past year, both locals and international visitors as well as tourism trade partners. “We’ve been lucky enough to attract various television productions also. How much focus do you put on the environment? 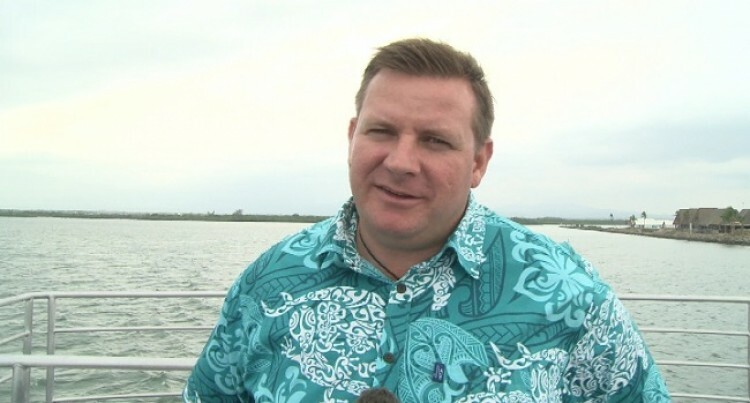 “We’re very conscious of our footprint on this beautiful part of the South Pacific. “We only use paper straws and try to use biodegradable materials wherever possible. “We’ve also spent a lot of time and resources on rejuvenating areas of the reef, which for many years received little or no upkeep. What will the celebrations include? “There is a plan for a big weekend of celebrations beginning Friday evening on August 24 with their sunsets and seafood inner experience which departs Port Denarau at 5.15pm. “Instead of returning at 9.15pm, however, guests can stay on until 11pm and enjoy live music from DJ Christonite, and they’ll also get a complimentary birthday gift. “DJ Christonite will play all-day Saturday and there’ll be a special street stall buffet lunch included in the day pass ticket. “Blackboard specials will run across both days. “The Saturday timetable is the usual daily schedule – the South Sea Cruises vessel departs Port Denarau at 10am and returns at either 4.15pm or 5.15pm. “Tickets are FJ$159 for Friday, which includes a welcome glass of champagne en route, return coach connections (from Nadi and Denarau) and vessel transfers, and FJ$169 for Saturday which includes vessel transfers and lunch.